Dr. David Miller, M.D., L.Ac. is one of the only physicians in the U.S. dually board certified in Pediatrics and Traditional Chinese Medicine. 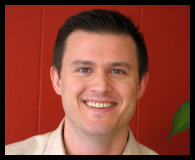 Dr. Miller designed and teaches the Integrative Pediatrics curriculum at both Pacific College of Oriental Medicine in Chicago, and in the Master's program at National University in Lombard, IL. He has also designed and taught curriculum in Integrative Endocrinology, Vaccine Theory, Medical Communications, and Public Health. He is an active Diplomate of Oriental Medicine with the National Certification Commission for Acupuncture and Oriental Medicine (NCCAOM) and is Board certified with the American Board of Pediatrics (ABP). Comments from "Pediatric Acupuncture & Herbs"
Submitted by elotus on Wed, 03/16/2016 - 1:52pm. I found Dr. Miller to be a very gifted instructor. It was so pleasant to listen to Dr. Miller, who exemplifies the very best qualities of an oriental and western medicine blended physician. Moreover, his lack of ego, combined with his great knowledge, compassion, sense of ease are all very inspiring. Excellent talk, inspiring to see eastern and western medicines fuse so naturally in a doctor. Very easy to listen to and understand. Very knowledgeable and stayed on topic. he is very knowledgeable in western med. I was looking more for the class to cover tcm and herbs than the western part. Fantastic! Learned so much. I could never have gathered this much information myself on treating these disorders in Children. Dr. Miller has clearly done his research and has practical experience on the topic. His info was very well organized and thought out. He is articulate, speak clearly and intelligibly, knows his material well. He also maintained his energy. I especially like his holistic approach. A wonderful surprise from the the biomedical field. Hands down, the best speaker I've heard yet on Lotus! 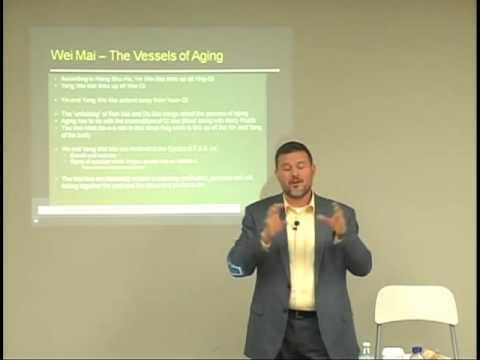 Dr Miller has an amazing insight regarding both western medicine and TCM perspective on the human evolution and development. It is refreshing to see TCM concepts supported by latest scientific studies. He was such an expert that he packed three days of information into one. I almost was overloaded. Very good overview of the subject. A rarity to find a practitioner versed in both Daoist TCM and biomedicine. He was an amazing teacher. He had a great understanding of the material, and I loved the way he wove spirituality into it. Dr. Miller is passionate about the subject matter, making him a very captivating speaker. Very knowledgeable, lots of theory, background and soul. Tireless! I can't believe how much information he packed into the weekend. Dr Miller was an excellent speaker: very professional and well prepared. Thank you for bringing the Eastern and Western mindset together! he is fantastic, wish he was in LA so i could take my kids to him! AWESOME, would like to have class with just adhd and case studies. More info on one topic with this speaker. Really enjoyed listening to him. extremely knowledgeable in acu, herbs, tuina, nutrition and has evident practical experience. highly recommend! Dr. Miller is an inspiration! It is fantastic to know that he is putting his seemingly endless talents toward healing the next generation. I would love to see more CEUs from him. Very knowledgeable, clear. One of the best presentations I have seen. I learned a great deal.